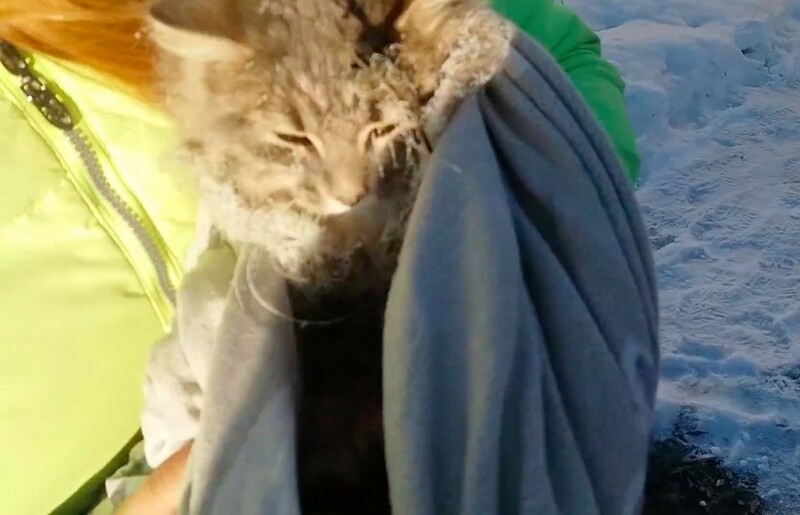 This poor cat was found with his paws frozen in the ice. He couldn’t move. Thankfully, a married couple from Zlatoust, Russia went on a mission to save his life. 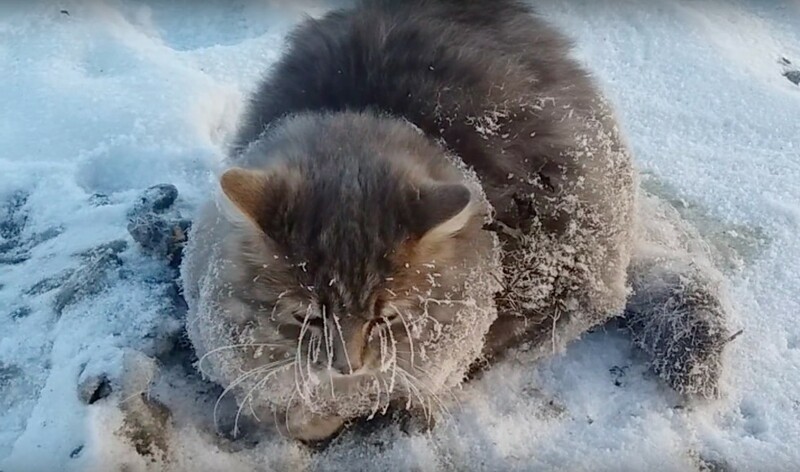 The husband, Sergey Baranov said that the cat was trying to stay warm by hiding under his car. 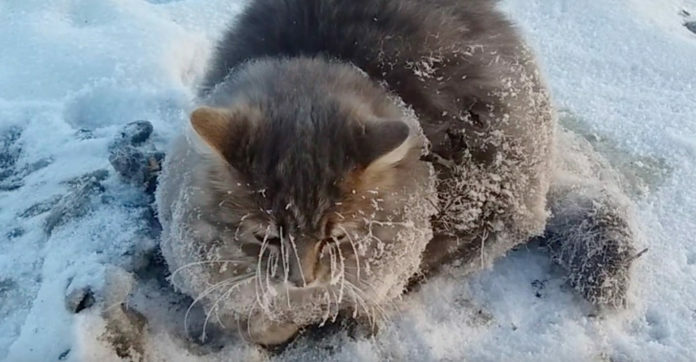 The frigid temperatures froze the cat’s paws, and he was wedged in the snow. When Baranov moved his car, he saw the cat and his wife, Yelena, wanted to help him. The cat’s coat was covered with ice, and his whiskers were coated with frost. The temperatures went as low as -350C (-310F). Yelena got a bucket of warm water to help melt the ice. It took several buckets of warm water. 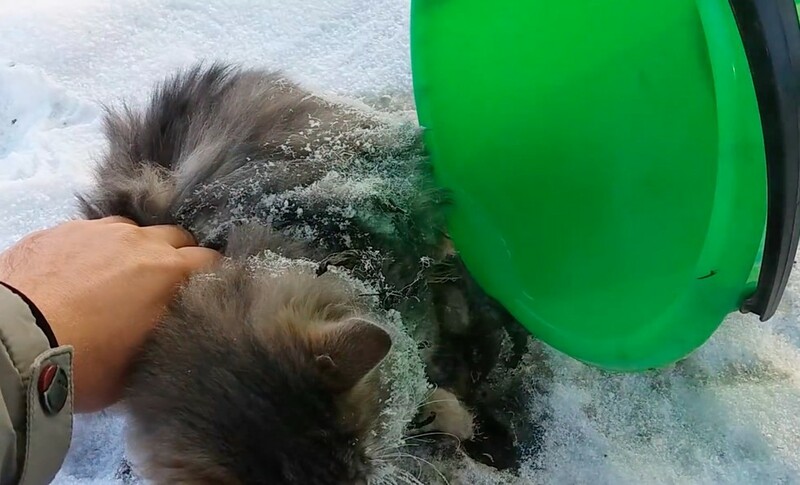 But they were able to get his paws out of the ice safely. They wrapped him in a large blanket and took him inside their home.